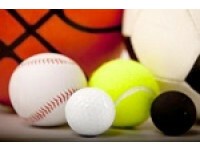 Examples of ball games are foosball, billiards, boule, cricket, croquet, bandy, tennis, golf och rugby. Handball, football, basketball and volleyball are classified as ball sports. 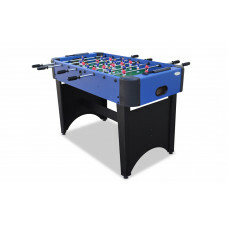 Smooth and affordable Defender is one of our smaller foosball tables and is placed on top of an existing table. Defender is easy to put away when not in use. 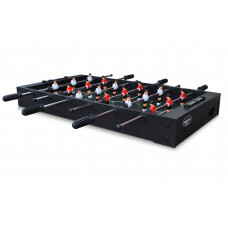 ..
A foosball for the little smaller children Barcelona foosball is suitable for both home and school. 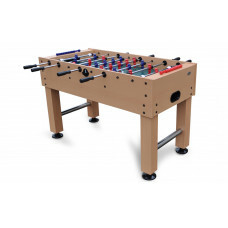 The table has telescopic bars, making it safer when the chi..
A foosball for kids and young people A tough foosball table that's perfect for kids and young people. 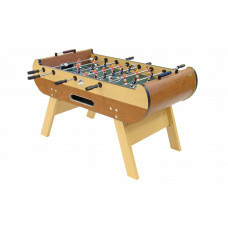 The table has telescopic rods, making it safer when the c..
A solid foosball table in wooden veneer Midfielder is one of our best-selling foosball tables, with a solid design, this table fits in the game room. 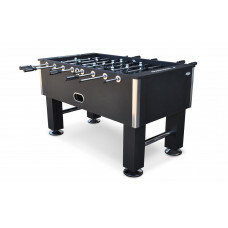 See "S..
A foosball table in exciting design Milano is a nice table that differs slightly from the other football tables with its exciting looks and round corners. 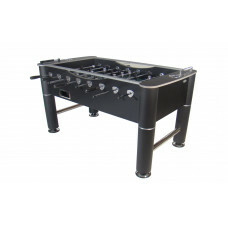 Mila..
Foosball for discerning players One of our best football tables gets discerning players. 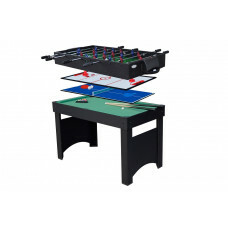 This is a solid foosball table with telescopic rods adapted for the ho..
A foosball table for tough players A football game made in a powerful construction that allows tough games. 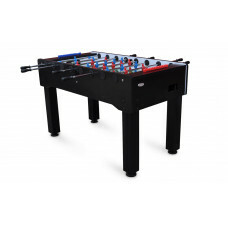 The legs are made of steel and the table is complet..
A foosball table for discerning enthusiasts Professional is a very durable table football made in a sturdy design in stylish black design. 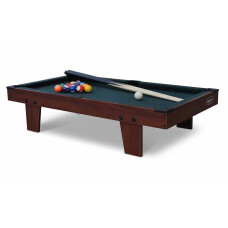 The game plan is ang..
Small pool table for children A small pool table with short legs for children that can be placed on an existing table or directly on the floor. 713-1006. Se..
Small pool table for children A nice pool table in black-stained wood adapted for younger players. Easy mounting as only the legs need to be mounted. See "S..
Smart combo game board for the family Game table Jupiter is a cool combination table with four different bord games. 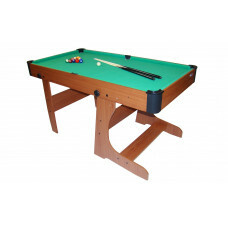 Complete equipment for pool table, table t..
Foldable medium pool table Mid-sized pool table that's easy to close and stand out when not in use, perfect for smaller spaces. 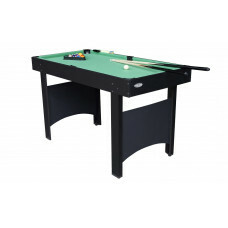 See "Specification" for deta..
Combo 3 I 1 game table in wood Billiards, ping pong and dining table in a combo table. Perfect for the party - both before and after. 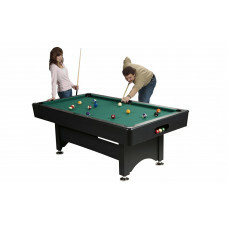 Includes complete set of ..
Big pool table 6-ft for limited space Harvard is one of our best-selling pool tables. Harvard is adapted for the home, office or recreation center. The table h.. 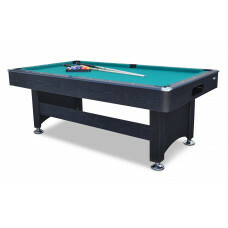 Pool table 7-ft for home and clubs Harvard is one of our best-selling pool tables. Harvard is adapted for the home and clubs. 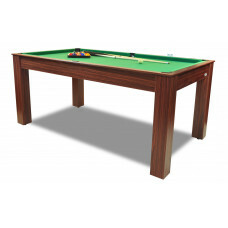 The table has automatic ball retu.. 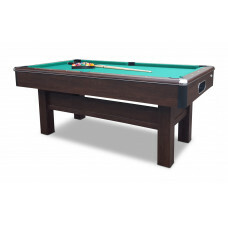 Pool table 7-ft for home and office Cambridge is a beautiful pool table adapted for the home or office. 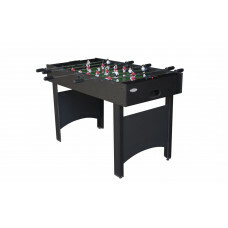 The table has automatic ball return and adjustable scre..